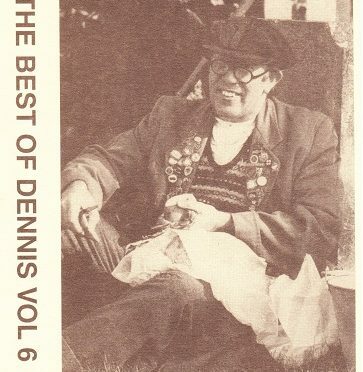 Here at Grunty Fennery we’re thrilled to announce the release of The Best of Dennis Volume 6. This means that all seven of Dennis’s cassette tape recordings are now available as a CD or as a download! So, if your old cassettes have gone all woolly-sounding, stretched or just unplayable, you can now relive those heady moments with a remastered version. £5 for a download, or £6 (plus p&p) for a CD! Please follow this link to go to Dennis’s shop and treat yourself – or another Fenatic – for Christmas! Volume 6 for me, please! Miss Edna and I look forward to processing your orders, and we thank you for your support in keeping the legend of Dennis alive.